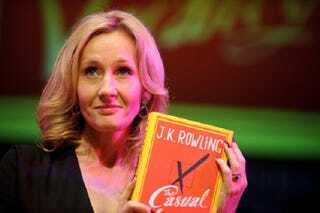 JK Rowling has always been outspoken about her politics on Twitter. The Harry Potter author is a vocal supporter of Britain’s Labour Party, and she donated nearly a million pounds to the “No Campaign,” which fought to keep Scotland from becoming an independent nation. In a series of responses to one user on Saturday, she said: “I have ignored and blocked abuse from people with a [Scottish National Party] twibbon [a ribbon on a Twitter avatar] for months on Twitter, very much taking the view that the abusive ones are not typical. “This week, though, my personal line has been crossed with being called traitor and shite the least of the abuse. “I feel no responsibility to hush up that kind of behaviour to protect the image of any political party. Just remember: You can write books that define an entire generation’s childhood, but at the end of the day a woman with an opinion is just that; and that is person who deserves to be belittled and bullied.